Sometimes you want to tell someone you are thinking of them, for no other reason than they are on your mind. Here at Eco2 Greetings we think one of the nicest ways to do this is with an uplifting ecard and a sentimental message. 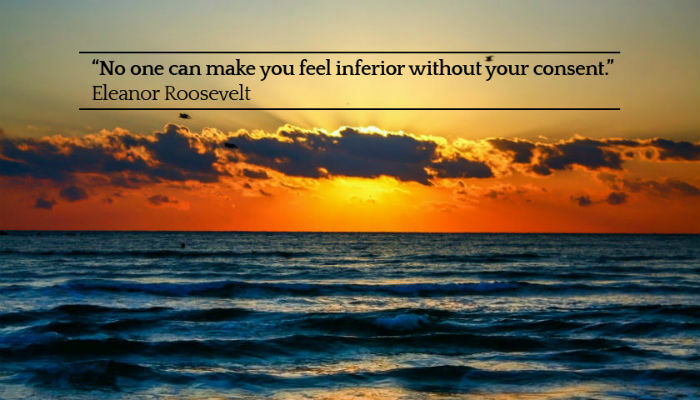 There are some fantastic quotes out there by this one by Eleanor Roosevelt is definitely one of our favourites. If a loved one is having a hard time or you simply want to give someone a boost then these corporate ecards with a few simple words on can make all of the difference. When deciding the design of this ecard we wanted it to be simple so as not to detract from the meaning of the quote, which is powerful enough on its own. We chose a beach sunset scene as this usually evokes feelings of being happy and relaxed, which is how most of us would love to feel all of the time. The quote and the background create a perfectly serene ecards that can be sent to any number of people, for all sorts of reasons just to let them know you are thinking of them. Don't forget we have lots of other designs, so have a browse through if this one isn't quite perfect. Our specialty of course is e Christmas cards for business so please do get in touch when that time of year is upon us.